It`s biting in taste, yet profound in character. This high power blend of aronia and sea buckthorn berries is an amazing source of zest and is also a glowing skin tonic. 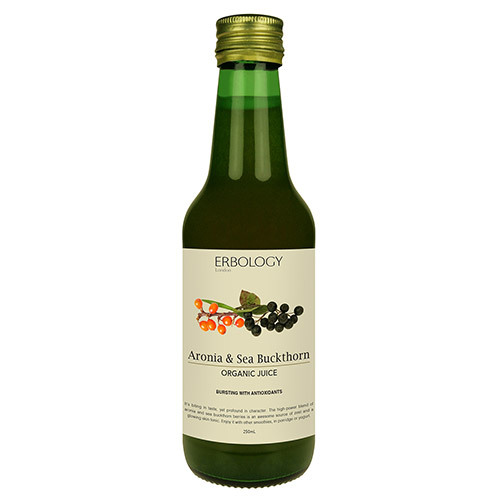 Aronia is exceptionally rich in flavonoids, while sea buckthorn is loaded with rare omega-7. Both are hand-picked and organically grown when making these powerful juices. Organic aronia berries, organic sea buckthorn berries. Gently pasteurised. Take 2-4 tablespoons per day. Add to smoothies, water, cocktails, porridge, yogurt or even salad dressings. Do not take before bed. Shake well before consuming. A liquid food supplement, not intended as a substitute for a varied diet. 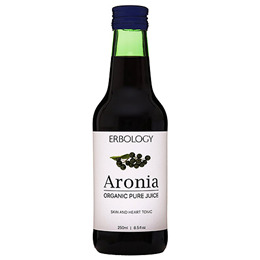 Below are reviews of Erbology Aronia & Sea Buckthorn Organic Juice - 250ml by bodykind customers. If you have tried this product we'd love to hear what you think so please leave a review.